I love stories about old bakeries. I'd not heard of Bing Liang Bakery in Muar but apparently their tarts and cakes have been popular since starting in 1998. Chinese New Year, Hari Raya, Mid-Autumn Festival, and Christmas would see them at their busiest. 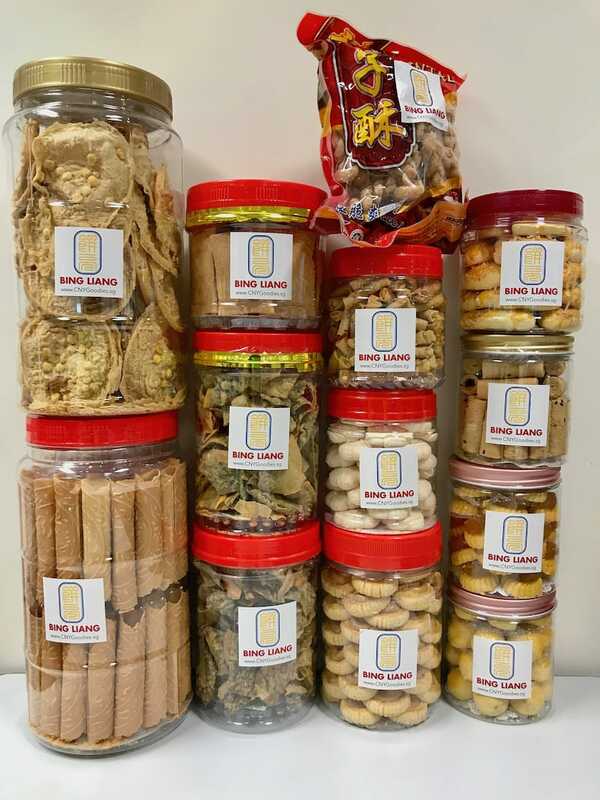 Malaysians would travel all the way down from as far as Penang to purchase CNY Goodies to share with friends and relatives back home. By the early 2000’s Bing Liang had to close orders as early as 2 months before the Lunar New Year. Singaporeans who visited the bakery often returned home empty handed. Bing Liang was very traditional and contented with their orders without expanding. In 2018, Masons Home Decor, an online furniture company, struck a collaboration with them to enhance operations. 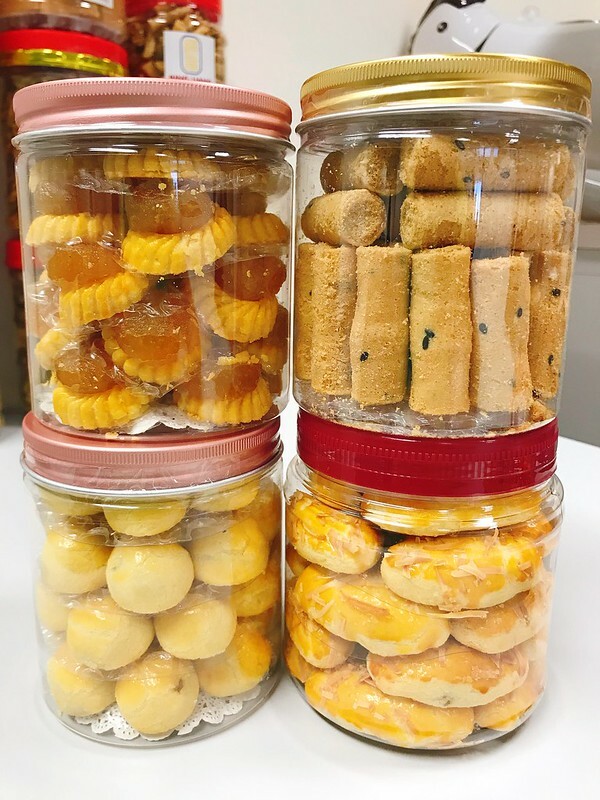 So now we can get the cookies and goodies online – cnygoodies.sg! Delivery (only S$5 per order, or free with orders above S$50) can be as early as the next day. Near instant gratification! 1) Pineapple Tart (Ball): super crumbly crust! 4) Hae Bee Hiam Roll (Sambal Prawn Cracker): mega potent HBH! 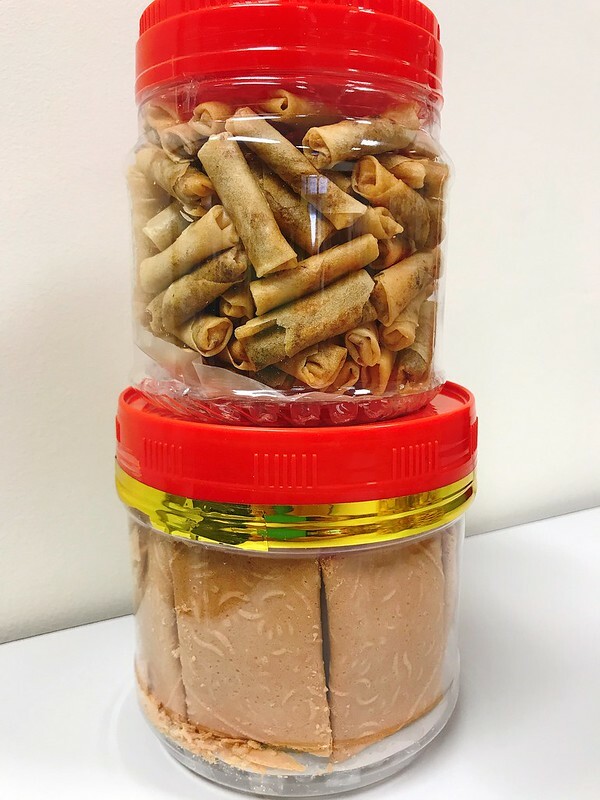 10) Crispy Salted Egg Seaweed Popiah Cracker: this was insanely popular with my colleagues; it was gone in a flash! Masons sent me some samples. 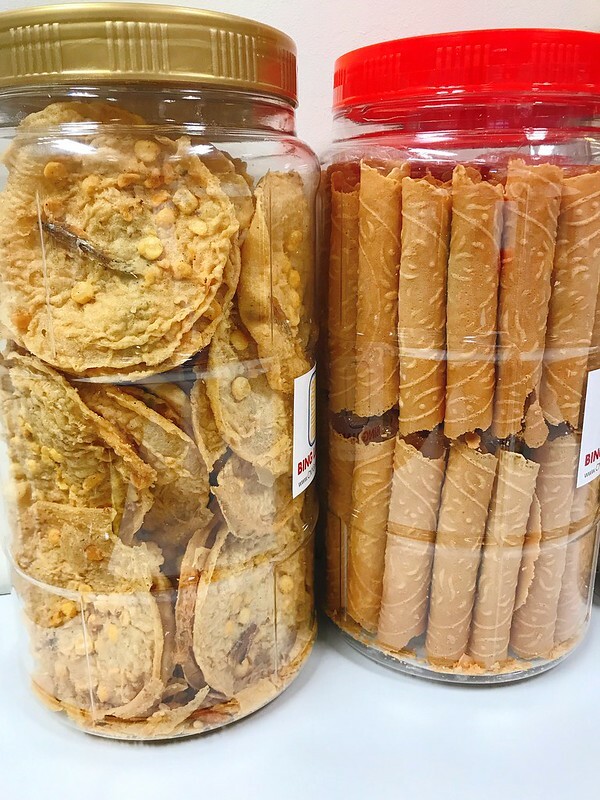 The rempenyek (left) is not too heavily spiced brittle and crisp but a tad greasy. Love letters very light and thin too. There are three kinds of pineapple tarts: ball, open-faced, and cheese versions. Decadently buttery, all of them, with a pretty sweet pineapple jam filling. The honey chicken floss cracker (top right) is a nice savoury option if you like meat floss. The hae bee hiam mini rolls (top) are, as mentioned, seriously potent. Open the bottle and the whole room will know you're unleashing something good. 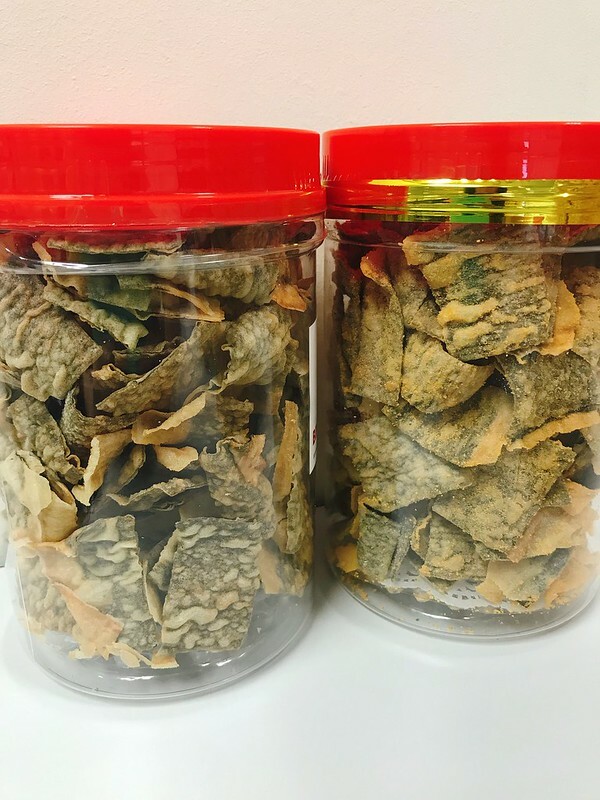 But the top favourite winner is still the seaweed-popiah skin crisps, specifically the salted egg yolk one (right). The salted egg yolk is just a light dusting, enough for flavour without being overwhelming. And the chips are not greasy at all, unlike fish skin chips sometimes. Really addictive! Thanks to Masons for sending the samples.